The surrounding area is perfect for families who would like to make use of the beach as well as excursions into the surrounding areas. 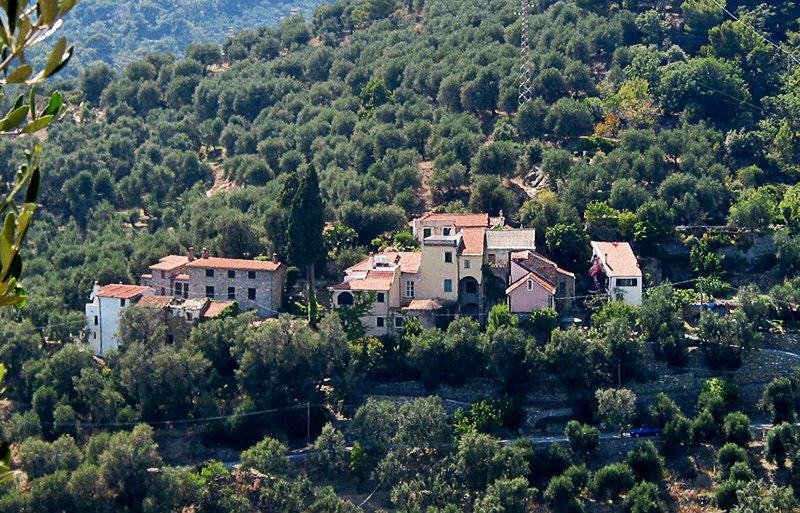 Besta is surrounded by numerous and beautiful olive groves it is also surrounded by natural vegetation. The locality is ideal for extensive, relaxing walks through the picturesque flora and fauna. There are also excellent hiking and biking opportunities in the hilly region. Besta is the mountain slope lying opposite "Besta di Ca”, which is translated as the Besta of the Fascia, that is to say that part of the village Besta with the olive terraces which is like a belt (a fascia) running round the mountain slope. The home of the English author Annie Hawes, who wrote an amusing book about the location and nature of the sometimes quirky but endearing residents - "San Pietro’s Olives” - is also on this hill. The district is well located for a holiday in a holiday house. The small, quiet resort is an ideal starting point for active vacationers who would like to see other cities and nature in addition to the beach. You should also not miss the numerous culinary delights. 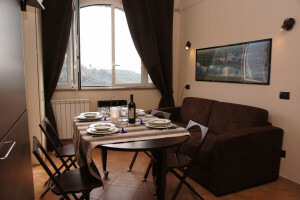 Besta is surrounded by numerous and beautiful olive groves and is surrounded by nature. The village is ideal for extensive, relaxing walks through the picturesque flora and fauna. It is also suitable for excellent hiking and biking opportunities in the hilly region. Besta is a small village in the Diano San Pietro municipality. 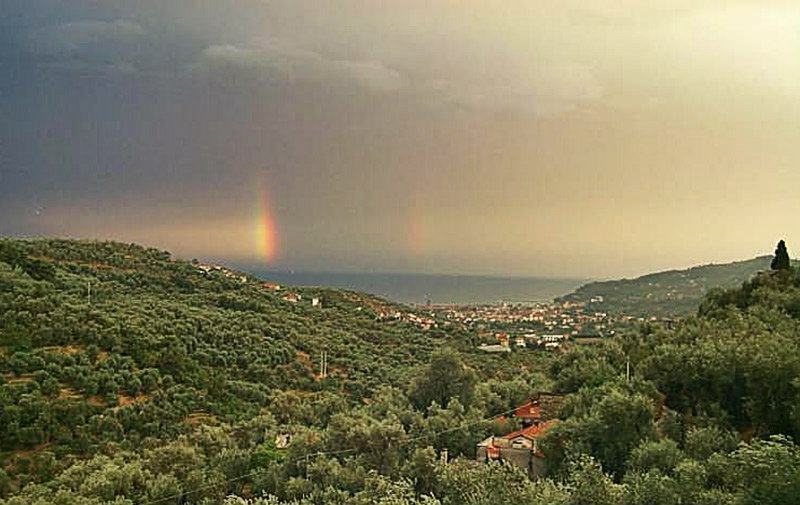 It lies about 1.5 kilometres on a quiet mountain surrounded by nature above the town. Besta was inhabited quite early in history and because of its strategic location, it served as an important centre within the municipality. It was incorporated into the Diano San Pietro Municipality with effect from the 12th Century. The original inhabitants were olive growers, who abandoned their homes and groves and moved to Diano San Pietro due to years of wars. Besta is part of the Diano San Pietro Municipality and is a village in Imperia Province located in the Liguria region. There are several other villages near Besta like: Moltedo (1.1 km) Diano Castello (2.6 km) and Monad S. Lucia (3.7 km). When coming from Genoa / Nizza, take the highway exit to San Bartolomeo al Mare and continue towards Diano Marina. From Diano Marina, drive to Diano San Pietro. When you reach Diano San Pietro (small Piazza), follow the road sign towards Roncagli. 50 m after the road sign to Roncagli, there is a very steep uphill road on your right hand side (Via Primo Maggio - you must reduce speed in order to negotiate the curve). You are now right in Besta. garden, Parking lot, balcony, terrace, BBQ, playground, outdoor furniture, Sat/TV, Washing machine, Dishwasher, 5 bedrooms(s) Idyllic, well furnished apartment located on a quiet slope within an olive-grove, Two bedrooms Playground for children Private parking terrace Garden with barbecue Small swimming-pool. Pets on request, garden, Parking lot, balcony, terrace, loggia, BBQ, roof terrace, playground, outdoor furniture, Sat/TV, Washing machine, Dishwasher, 8 + 2bedrooms(s) Idyllic, well furnished villa located on a quiet slope within an olive-grove, 4 bedrooms, 2 bathroom, 2 terrace with seaview, BBQ Playground for children Private parking terrace Garden with barbeque swimming-pool and sunbathing terrace.